Airbnb vs. Long-Term Rental: Which Is the Choice for Your Rental Property? Airbnb vs. Long-Term Rental: Which Is the Right Choice for Your Rental Property in MD, DC or VA? Would you make more money listing your property on Airbnb instead of renting to a full-time tenant? To be honest, until last year we hadn’t worked with many real estate investors who were purchasing a property with a specific purpose of offering it for rent via Airbnb. The majority of the deals we see are still your good ole’ rehabs: a buyer snatches a dilapidated property at the right price, invests blood, sweat, and tears into its renovation, and then sells it at a nifty profit. However, to make money in the tightening market, you have to think outside the box. The Airbnb route is not for every investor and not for every property, but it’s definitely a great example of creative thinking. Airbnb was founded just over 10 years ago, but today has more listings worldwide than the top five hotel brands combined. Out of its 4 million listings, 660K are in the U.S. It currently has 150 million users and 64,000 hosts. Those are some staggering numbers. If you are like me, you start thinking about how you can leverage the Airbnb platform to increase your own real estate profits. For questions about how you can start making money through rental properties in Maryland, Washington, DC, or Virginia, contact New Funding Resources today. One of the primary reasons why we haven’t seen many borrowers buying investment properties specifically with Airbnb in mind in the past is the lack of a clear exit strategy. As a hard money lender, we don’t really care much about your credit or your income. However, they become a part of our underwriting if a borrower wants to keep the property instead of selling it. In such cases, he would need to repay our loan by refinancing it with a traditional lender once the renovations are complete. We need to make sure that our borrower will fit into the conventional lender’s underwriting standards, and that refinancing is, in fact, a viable option. Until recently, for many Airbnb owners, such an exit strategy was not possible simply because their Airbnb income was not accepted by underwriting. The situation changed in early 2018 when Airbnb was finally able to convince major lending institutions that it not only provides American homeowners with a stable way to generate cash but also offers reliable technology to track their income. A new program underwritten by Fannie Mae allows anyone who has rented out property on Airbnb for a year or longer to count that money as income. From the underwriting perspective, this is a huge shift. In one swift move, almost 13,000 hosts in Maryland and DC have transitioned from being a part of the shadow economy to being legitimate tax-paying entrepreneurs! Which Rental Strategy Results in Higher Rental Income? With the underwriting hurdles of the Airbnb ownership cleared, we can tackle the next question. Does offering your property on Airbnb constitutes its highest and best use? If the answer is yes, you need to decide whether that increase would be enough to compensate for additional expenses, wear-and-tear, and hassle of renting short-term. This aspect largely depends on the location of your property. Short-term rentals via Airbnb are almost guaranteed to bring more in rental dollars per day on average. However, it might not be enough if you have high vacancy rates. If your property is in a highly sought-out tourist area (i.e., Washington, DC) or in a vacation area (i.e., St. Michaels and Deep Creek Lake), you might be able to keep your vacancy rates low. In contrast, the areas around Frederick, Carrol, or Howard counties might lend themselves better to long-term rentals. Interestingly, Baltimore City brought in more guests and income last year than any other area in Maryland. 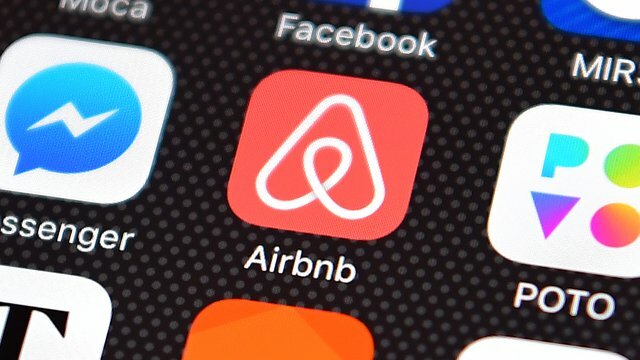 According to the Baltimore Business Journal, in 2018 it hosted almost 108,000 guests who paid nearly $15 million to stay in the local Airbnb’s. Of course, all these numbers pale in comparison with the numbers generated by the nation’s capital. Last year 6,300 Washington, DC proper Airbnb hosts earned combined $96 million, according to the Washington Business Journal. These numbers are impressive, but not surprising. Washington, DC is one the most visited tourist cities in the world, as well a major business travel destination. Airbnb homes often provide a cheaper and more convenient alternative to staying in local hotels. However, before you decide to become a hotelier and list your DC rental property on Airbnb, you need to be aware that the DC government just adopted one of the most restrictive short-term rental policies in the country. Under the new rules, no non-owner-occupied DC homes can be offered as a short-term rental. Those properties that are owner-occupied can only be offered with the owner present—with the exception for 90 days a year when the owner might be away. Needless to say, these new rules are wreaking havoc in the DC market. The rules are not slated to go into effect until late in 2019, and because of their impact on DC revenue, there is some discussion on whether they will be implemented at all. However, this an obvious reason for concern and, until there is more clarity, you might want to adopt the wait-and-see approach. As a result, you could take a closer look at the areas that are immediately adjacent to the DC border, either in Virginia or Maryland. Many of those locations offer easy access to the nation’s capital either by car or by Metro. One of our clients is currently renovating her second Airbnb in Capital Heights with plans to host more families visiting Washington, DC in 2019. She estimates that even with adjustments for increased wear-and-tear, cleaning, and time hassle, her income will be at least 25% higher than with a regular tenant. Renting your home via Airbnb is a more entrepreneurial and involved route than renting it long-term. If your property is in the area that naturally lends itself to tourism or business travel, by all means, consider it. However, as a hard money lender, we remain convinced that you should base your profitability numbers on the income you will receive by renting it to a regular tenant for a term of 12 months or longer. If later on, you determine that you can make more money by hosting short-term visitors, consider it icing on your cake. To get pre-qualified for a private money loan to purchase an investment property in Maryland, Washington, DC or Virginia, apply via the button below or over the phone at 240-436-2340.